So here's the deal - from now until the end of March, the Kontrol S2's price has tumbled to $449/€399/£329. One could argue that it was a little expensive anyway - indeed, in the yet to be published review says as much, but you'll have to wait for NI to stop fact checking that review before I can publish it. Here's one theory for the price drop - the previously teased Kontrol F1 (for that is its name - just like I guessed) proposes a dual F1/X1 modular workflow for the new Traktor Pro 2.5. This does rather seem to exclude the S2 from the remix deck party, thus NI want to offload stock before the new ways kick in. But I have slightly different way of looking at things. The new Kontrol F1 aims to change the way you work with samples. From what I've seen, the S2 isn't quite equipped to handle the remix deck action that's coming in v2.5. But an S2 sandwiched between a pair of F1s would be really cool - compact and cost effective handling of 2 proper decks and 2 sample decks. If you fancy a slice of that sort of workflow, I'd jump in now. Whatever the reason, the S2 is now a bargain, especially as it comes with a full version of Traktor Pro 2. But remember, you only have until the end of March to take advantage of this offer. Shame they haven't released full details on the F1 yet. It might convince me to grab an S2. Right now though, I'm not tempted for the exact reason you say, it's not quite enough on its own. Need to know if the F1 makes up for the missing control the S4 offers over decks C+D. "you'll have to wait for NI to stop fact checking that review before I can publish it." Huh? So NI (or any other manufacturer) can hold up publication of your reviews if they want to just by dragging their heels on the fact checking? That sounds like something they might be very tempted to do if they didn't like what you had written, don't you think? "sandwiched between a pair of F1s would be really cool"
Is the F1 for a single sample deck? Kinda hoping it's got enough knobs and buttons to control both C+D. "Kinda hoping it's got enough knobs and buttons to control both C+D." Maybe there is a way to use only two slots of samples for each side... that would be cool. The standard price put me off, it really didn't seem good value, especially if you already own Traktor, Feature lacking wise, my biggest gripe was no filter rotary's. But at 329 I can put up with feature niggles and plastic pots. Tho dinky, the jogs are great for scratching, add mini innofade = good times. "is the F1 for a single sample deck?" It could have shift layers to control two decks, but the current tease vid suggests one F1 to control one of the new Remix Decks, loaded with up to 16 samples per a page. I think I'm gonna go with Vestax dropping the VCI-300MKII to 499.00 w/free VFX-1 as the reason NI has dropped the price on the S2. Sometimes it's just that simple. Negating the competition. And notice how the S2 is conveniently priced at $50.00 below the VCI-300. No filter knob's stopped me from buying this unit. If NI were to update the S2, I wonder what changes they would make? WHOOP! WHOOP! DANGER! Surely the huge advantage of a blog is that you don't have to please the manufacturers? Unlike magazines who almost always say nice things about new products because they're worried about losing their advertising, blogs like Skratchworx (especially Skratchworx) can say what they like. That's why we trust you to tell us the truth...isn't it? Unless people missed it, I said fact checking. They don't have any editorial control whatsoever. I'd say it's better to have a factually accurate review rather than one littered with errors. Hell I might as well make stuff up if I just let them go without a check-over. Besides, it's not a good idea to p!ss the manufacturers off, otherwise they'll be less forthcoming with review samples and end of year goodies! From what I gather, giz has good working relations with these people, and nothing would be gained from losing that mutual respect! Geez it's only a blog not your favourite artist/scene selling it's/their soul. regarding the new F1 a price drop makes sense. i can also imagine that the market for controllers right now is kind of "saturated" (i don´t know the right word for it), meaning that everybody who really wanted a controller got himself one by now. also while the S4 was in the right place at the right time there are not many reasons that make the S2 stand out from the rest. but maybe they´re simply not selling enough units and start getting nervous. They asked me too ´bout fact checking ! We don't do that. No way. "Unless people missed it, I said fact checking. They don't have any editorial control whatsoever. I'd say it's better to have a factually accurate review rather than one littered with errors. Hell I might as well make stuff up if I just let them go without a check-over." I disagree. By waiting for them to give you the OK you're letting them have an influence on how quickly your opinion on the product gets out to us. I'd say that's a bigger issue than any "errors" your review might contain (and why would there be any significant errors anyway?). Look at it from our point of view: At this point the S2 has been in the shops for 3 or 4 months, I've read reviews of it on a number of other sites, I've seen it in my local store, and I know a couple of people who've already bought it. Why do I need to read your review any more? I needed to read it in November, not February. Timing is everything. DJs can be so whiny sometimes. Han shot first... everyone chilllll lol ! Although we appear to be somewhat off-topic at this point, I think Paco Loco has raised an important issue. While I'll always give the manufacturer a right to reply, I think I should but a deadline on it. We all work hard to provide the reviews, so it's only fair that the guys get to see their work online in a timely manner, and importantly that you get to see them. I'm also planning that this right to be reply be incorporated right into the reviews, so that the manufacturer can have their say in their words - if they wish of course. I'm confident that the reviews are accurate, so any errors are likely to be minor. In fairness to NI, I haven't chased the S2 review because of the holidays and NAMM. But I will now. "DJs can be so whiny sometimes. Han shot first... everyone chilllll lol !" That's the trend now, DJ's were happier back in the day when u had to go out for ur music and safe up money for the latest jams..i didnt hear anyone complain, the scene was fresh and exciting and we al wanted the same standard turntables although i didnt have the money and was to young to get them, so makes u wonder if technological progression is a good thing in world of dj'ng. The more spoiled people get, the more crybabies emerge. I think it's also possible DJs realized that getting 1/2 an S4 for 2/3s of the price was a bad deal, and didn't get an S2? Thanks for the reply Gizmo. It's good to know you take the feedback seriously. And that my constructive criticism was received in the same way it was intended (I.e. constructively). Looking forward to reading the review. Anybody mod an Innobender in an S2 yet? I've seen the s4 already. The S2's oem CF is soldered I guess. 2*S2 price cheaper than 1*S4 now but more knobs and 2 more jog wheels, NI should drop down the S4 price also. Im really liking the price drop! I have an X1 along with CDJs and a mixer but its getting too troublesome to carry around. 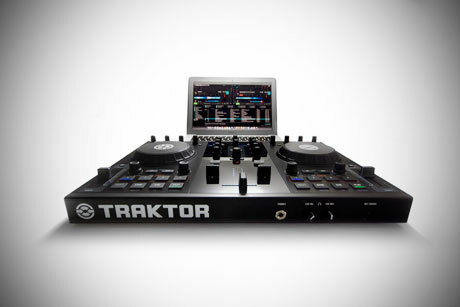 I was thinking about a controller and this seems perfect (now I dont have to sell my CDJs and buy an S4)! But I have a question, can I have almost the same 4 deck ability with an X1 and S2 as I would with only an S4? With the propper mapping that is, 4 decks and all..
Really need help with that guys, and Im looking forward to the S2 review! 2. Article is read, a list of things you may have said about the hardware/software not doing something, doing something it cannot (which is just as bad), stating "the knobs/faders/whatever are tested to/rated at X number of Y's", or responding with a "it will do this in X number of updates" is returned. 3. Response is read, changes are made, or a back and forth starts about "the statement was factual, and here is why" or not. If an review calls the baby ugly, there is nothing that is done on either side. If a manufacturer does this, or tries to hold the $$ card over their head, they quickly get a bad rep in the industry and simply don't get reviewed as it is not worth the hassle for a reviewer. The idea is that, if someone were to buy a product based on the review, do they know what it can/can't do? If they don't, that is a big problem for a manufacturer from a service and support stand point, as well as sales. That is why the process is in place. Im pretty close to purchasing the S2 at this price, as It looks like its exactly (almost) exactly what I need. The only significant problem I have with this unit is its lack of Aux Ins for emergency grab-for-the-ipod-because-the-laptop-died-mid-set situations. Im thinking at this price I could probably over look this (in my eyes) quite significant limitation if there was a simple work around for it. Im thinking dropping some extra cash on a small sound interface that could receive signal from the S2 as well as from another line level source (i.e. iPod), and send it out into the system where id usually plug the S2 in. This would only be useful if I could find a sound interface cheap enough to justify me not just getting the s4. Has anyone found a cheap enough solution to the no Aux IN problem with this unit?